Study spaces are a sacred space for students, so design accordingly. 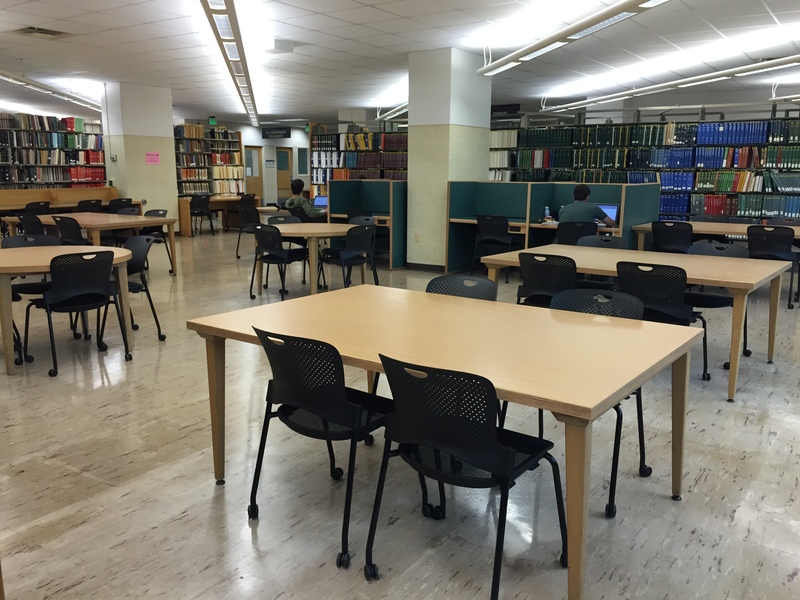 In collaboration with student researchers and the UX Librarians at the Michigan State Library, I worked to help redesign a public study and collaboration space at MSU’s library. 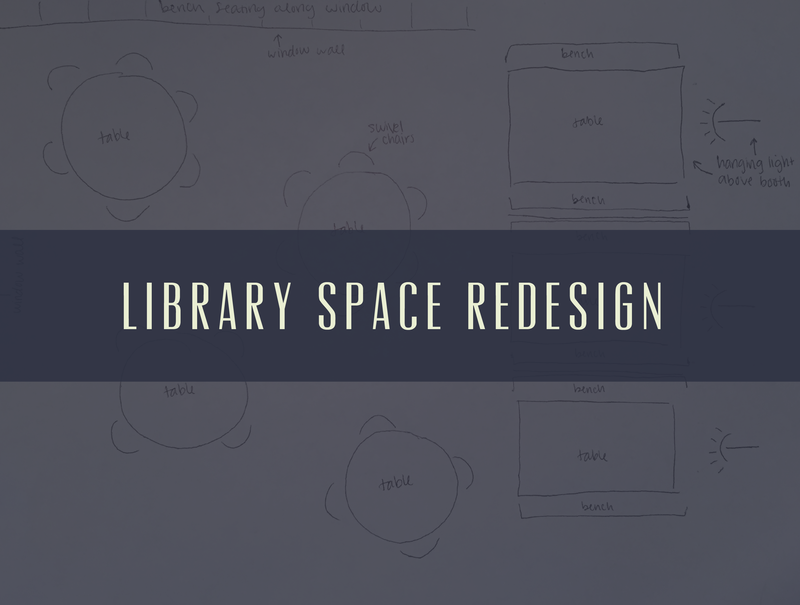 The user experience librarians at MSU were to propose a design for the renovation of the third floor, but were concerned that their baseline research would not suffice in giving them the data they need to predict what kind of space students desire. While they briefed us with the project and goals, they gave us all of their current data, which were various headcounts on each floor. Michigan State University is a huge school, with over 50 thousand students all across disciplines, and the MSU Library aims to meet the needs of all of these students through creating study spaces for group and individual work and utilizing different technology to aid in the study experience. We were tasked with collecting research over a two month period to get multiple needs and wants of students in a collaborative and individual study space. I also worked as the project manager for the research and analysis period of the project to keep the project moving, every researcher on task, and communicate effectively with our stakeholders. We split up our research into five phases: Proposals, Research, Analysis, Ideation, and Documentation. For a brief time during the project, I took on the role as a project manager. This meant, in the two week period of my role, I was to track time, tasks, communication, stakeholder updates, and documentation of what has been done already. Being the research lead as well as the project manager required a strong focus on the end goal, good time management, and excellent group-work skills and communication. First, we need to explore the space in general. Each of us planned to observe the people in the space for about four hours over two weeks during different times of day. We learned a lot of useful things about time of day when the students were there, and what kinds of groups were meeting, or what the individuals were doing alone. • What kinds of behavior is currently going on in the space? • What types of technologies or setups could aid these interactions? • How can we fully understand what kind of space students need? • How do technologies and placement of furniture affect the type of space? To answer these questions, we brainstormed more research and ways to answer our questions. This meant surveys, student interviews, and more observational research. We even went so far as to read up on current research on study spaces, observe other study spaces, and research various furniture used in study spaces. We then conducted interviews with students and asked questions about their experience in the library on how they use other study spaces on campus. One task during the interview impacted our findings the most, which was having them create their own “blueprint” of an ideal study space. This was to have students draw out their ideas so we could track and compare similar desires for the space. We also took advantage of the “ideal space” blueprints to flesh out an ideal study space to pass along to the UX team at the MSU Library. We created three different blueprints to showcase an ideal space, an “okay” space, and a space to avoid. Then, after delivering our findings to the UX team at MSU, we discussed best practices for physical space design, recommendations for future research, and how other spaces at MSU can be impacted by this type of research as well.